A selection of famous Dutch People born in the Netherlands. 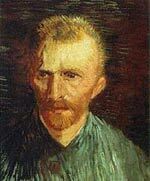 Vincent Van Gogh – One of the most famous painters of the twentieth century. His post-impressionist style helped influence later modern art and was widely acclaimed for its vividity and striking use of colour. Johan Cruyff – One of Europe’s greatest footballers and pioneers of ‘total football’ a style of playing that mesmerised the public during the 1970s. He led the Netherlands to the final of the 1974 World Cup. 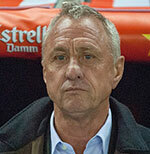 Although they lost, Cruyff was voted best player of the tournament. After retiring from playing, he achieved success with managing, especially for Barcelona. 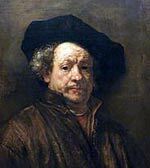 Jan Vermeer – 17th Century Dutch artists famous for painting interior objects and portraits. His most famous works include – The Girl With a Pearl Earring, ‘A View of Delft’ and the ‘Milkmaid.’ Vermeer was an important contributor to the Dutch golden age. 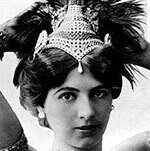 Mata Hari – Famous dancer and socialite who was famous throughout Europe for her exotic dancing and stage presence. During the First World War, she was executed on flimsy evidence of being a German spy. 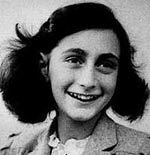 Anne Frank – Young Jewish diarist. During her childhood, her family were forced into hiding from the Nazis. Living in difficult circumstances and close confinement with many other people, she retained good humour and positive outlook on life. After the war and her tragic death, her father published her diary to worldwide acclaim. William III of England. 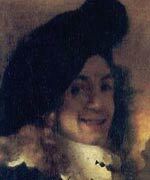 From 1672 he governed as stadtholder of Holland. 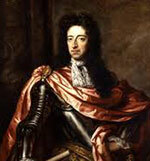 In 1689, he was invited by a Protestant faction to rule as King of England, Scotland and Ireland. Known as the ‘Glorious Revolution’ for its peaceful transition to the House of Orange. 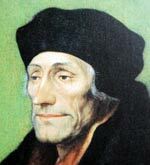 Desiderius Erasmus (1466 – 1536) – writer, polemicist, humanist and theologian. He criticisms of the Catholic church laid the foundations of the Protestant Reformation – though Erasmus remained a supporter of the church. 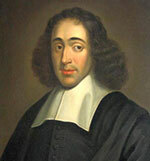 Baruch de Spinoza, (1632-1677) Philosopher. Spinoza’s philosophy was an important cornerstone of the 18th Century Enlightenment. He offered an early Biblical criticism. 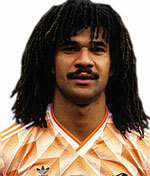 Ruud Gullit (born 1962), football player and coach. He was captain of the Dutch team which won the 1988 UEFA European Championship. Citation: Pettinger, Tejvan. “Famous Dutch People”, Oxford, www.biographyonline.net, 4th February 2015. Last updated 9 February 2018. 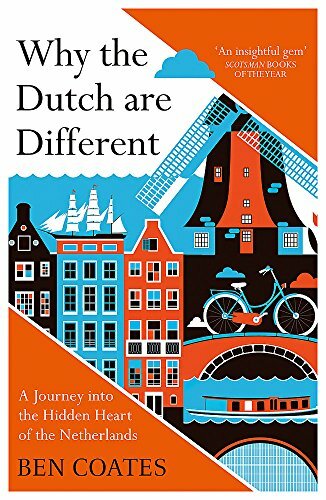 What the Dutch are different – by Ben Coates. A journey into the Hidden Heart of the Netherlands. Franklin D. Roosevelt (1882 – 1945) Democratic President of the U. S.
Theodore Roosevelt (1858 – 1919) Republican President of the U. S.